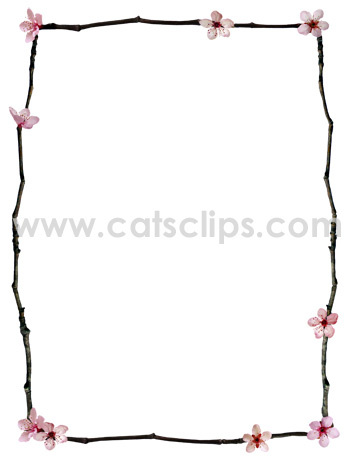 Pale pink blossoms on dark twigs make a simple elegant border for text, photographs and flyers. Image is a JPG on a white background. PNG with transparent center and white background.